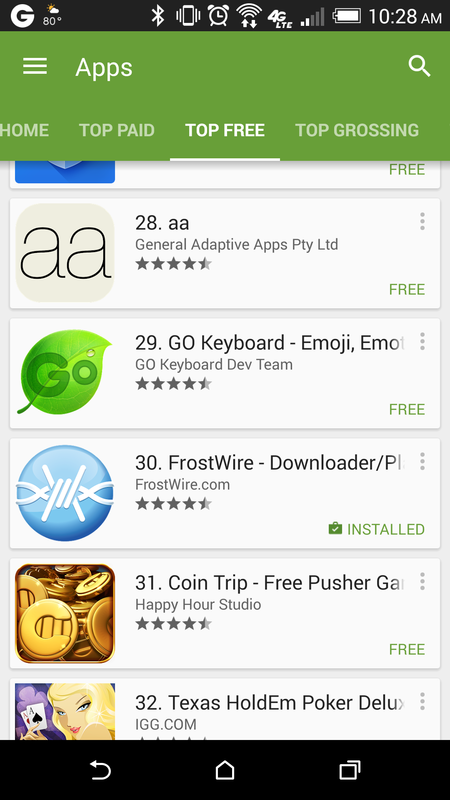 We are very excited to share that FrostWire for Android has just reached the Top 30th Best Free Apps on Google Play! It has proudly outranked apps like Twitter, Hulu, Vine or Angry Birds and it might be still climbing the charts. We wanted to thank all the users who supported us throughout the years, submitted bug reports or donated to the project, we couldn’t have done it without you. FrostWire was the first peer-2-peer file sharing application on the Android Market. We published our first, very basic version in December of 2010. Back then our smart phones were not so smart, and definitely not as fast as they are now, but we did it and it worked! 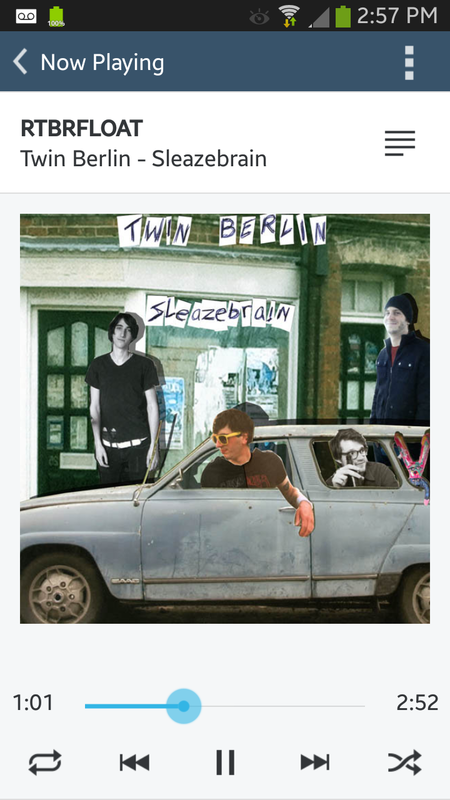 Even though very ugly, the alpha and beta versions could search & download and even browse local files to then share with other FrostWire users. The early adopters quickly discovered the app and our user base kept steadily climbing over the years while we kept improving. Today FrostWire for Android is a native BitTorrent client and cloud downloader with built-in search and multiple downloading options. It not only has a built-in media browser & music player, but also features newly integrated fully featured music library for easier file consumption. With in-app Wi-Fi sharing, it also allows users to wirelessly transfer files between FrostWire enabled devices on the same local network. The app we dreamed about back in 2010 is finally here, the app that let’s you Search, Download, Play and Share files easily, from one place has become a reality. On top of all that functionality, we now also have a world-class UI and graphic design courtesy of @marcelinkaaa. All the recent improvements didn’t go unnoticed. As more and as more users tried the app & kept it, rating FrostWire five starts thousands of times, it has climbed up to the Top 100 Free Apps on the Google Play Market. Today it has reached # 30 and it might not be done climbing yet! If you’ve been a desktop user and you don’t have it on your phone yet, download it now – we truly think you will love it! And if you are on an iPhone, well… just switch to Android so you can continue torrenting on the go. Let’s bring a simple, enjoyable and seamless torrent experience to the masses, this time on mobile!